Charlie Walsh bagged his second Hoops’ hat-trick as Deal turned the tables on Erith Town in emphatic fashion on Saturday. 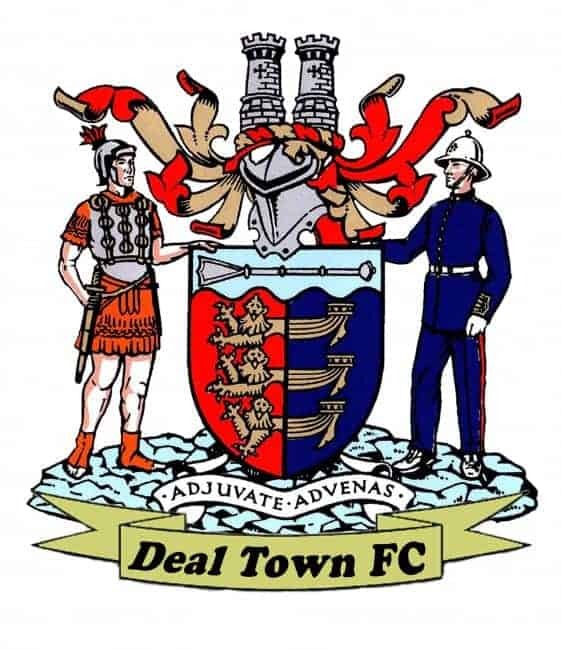 Beaten 4-2 at home by the Dockers in late January, it was a completely different story this time as Derek Hares’ side cruised to another three points which lifted them to a season’s high 12th place in the Southern Counties East League table. After coping with some early Erith pressure the Hoops went in front with 24 minutes gone when Walsh scored from close range following good work down the left flank by Steve O’Brien and Joe Reeves. Then, with James Tonkin now a virtual spectator in the Deal goal, the Hoops doubled their lead just before the break when Jack Paxman finished off a superb pass from Walsh. Hares’ message to his players at half-time was “more of the same” and he didn’t have to wait long for them to respond. A mistake by Erith straight from the kick-off gave Reeves a shooting opportunity and although his effort was blocked, Walsh was on hand to snap up the rebound. And a fourth Deal goal followed just three minutes later with ”Walshy” again the provider. The striker was fouled in the box and picked himself up to complete his hat-trick from the penalty spot. Hares then sent on Connor Coyne for his first appearance in five matches following a knee injury and little more than a minute later he made his presence felt, firing home from eight yards after the referee had played a good advantage following a foul on Paxman. The Hoops then eased off slightly in the closing stages and Tonkin had to make three smart saves before Erith gained some slight reward for their efforts when Felix Ogobe scored with just a few seconds left. Deal: Tonkin, Paxman, K Smith, Hill, O’Brien, Hark, Scott (Philpott), Adams (Gregory), Anderson, Reeves (Coyne), Walsh.